Marx, Emanuel, and Obama, Oh My! * Matt Bianco is an elder in the PCA. He is a married, homeschooling father of three. 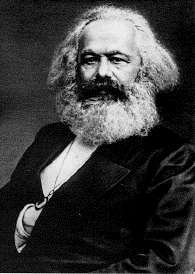 Karl Marx had a certain theory of ideas, one that we see in play even today. Well, Marx had a lot of ideas and theories that we see being enacted and lived out today, but one specifically I want to consider in this post. Karl Marx believed that ideas resulted from our experiences, specifically the situations we faced in life. What is he saying? Well, first, what is he not saying? Marx is not just saying that there are ideas, norms, that make up life–that allow us to make sense out of life–whose interpretation and application are simply colored by our experiences. For example, as a postmillennialist, I believe that history is heading in a certain direction, to wit, a positive direction in which the rule of Jesus Christ will be experienced and known in history. I believe this; it is a norm in my life, but my interpretation and application of it can be colored by my experiences. If my life goes fairly well, I have a successful career and a Godly, happy family, I see these as the fruits of history heading in that direction. If my life is a bit rougher, and I experience the pain and suffering of sickness and death in my family, then I see these as the crosses by which the Kingdom will be made manifest. In both cases, I continue believing in the norm of a postmillennial future. In the former case, I see that happening without too many hiccups, while in the latter case, I emphasize the cross as the means to that future. This, however, is not what Karl Marx is describing. Lyndon Johnson had a dream. Following Kennedy’s assassination in 1963, Johnson moved speedily to embody Kennedy’s vision for the country. After Roosevelt’s New Deal, Johnson’s vision for a post-Kennedy country was as ambitious as FDR’s. With only 11 months before the elections of 1964, Johnson had to prove to the country that his presidency wasn’t just due to Kennedy’s departure, but that he also deserved a chance by his own merits to lead the country for four more years. Johnson wooed Congress to pass his agenda. He continued JFK’s vision for a Civil Right’s Act, which was passed. Johnson also instituted a vision for a Great Society, which included a War on Poverty. At that moment, Liberalism’s goal to crown the Federal Government as the giver of life was achieved in a way Roosevelt could not. The Wilderness Protection Act saved 9.1 million acres of forestland from industrial development. The Elementary and Secondary Education Act provided major funding for American public school. The Voting Rights Act banned literacy tests and other discriminatory methods of denying suffrage to African Americans. Medicare was created to offset the costs of health care for the nation’s elderly. The National Endowment for the Arts and Humanities used public money to fund artists and galleries. The Immigration Act ended discriminatory quotas based on ethnic origin. An Omnibus Housing Act provided funds to construct low-income housing. Congress tightened pollution controls with stronger Air and Water Quality Acts. Standards were raised for safety in consumer products. Vietnam, of course, shattered Johnson’s vision for a New Heaven and Earth. Now the attention of a nation was drawn to the disastrous Vietnam War. In some ways, Democrats have attempted to continue the Johnson legacy. They have succeeded. $16.5 Trillion in debt reveals that the Democratic leaders paid careful attention to Johnson’s blueprint for the nation. But we have come to expect this type of consistent ideology from Democrats. “He went and he cajoled, he begged, he threatened, he loved, he hugged, he did what leaders do, which is they personally get engaged to make something happen,’’ Bush said of Johnson. Of course, the best read of this situation is that he is arguing for a hands-on presidency (like Johnson’s) in an attempt to discredit Obama’s hands-off presidency. 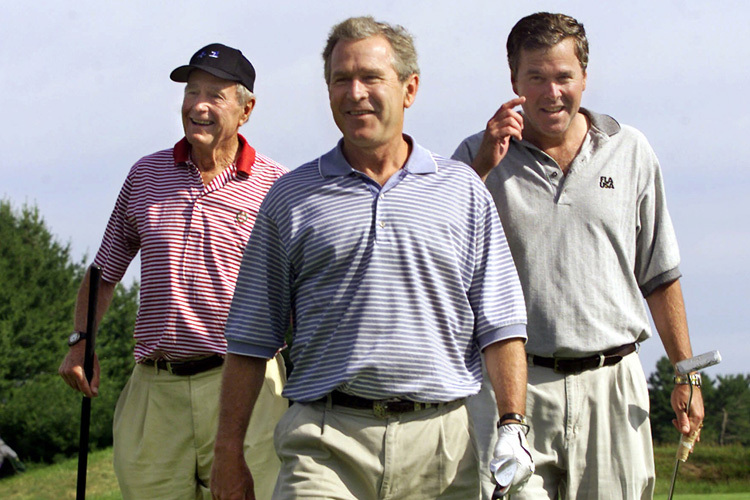 But forgive the political pessimism from my perspective, but I seem to have a general distrust of the Bush brand of political reform.